Some projects present never-before-seen challenges that will stop a brainstorming group in their tracks. 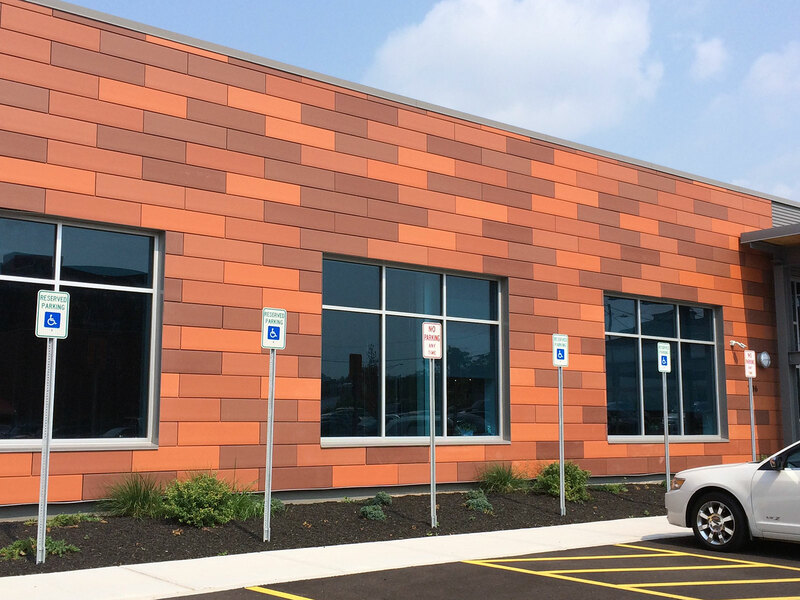 The architect wanted a terra cotta rain screen cladding on the re-clad of an old warehouse in Syracuse, NY. The area was going through a revitalization and the owner was on board with the look. The terra cotta rain screen component would not be an issue and it was decided that the air barrier component would be addressed by taping the seams of the exterior insulation, making the insulation function as an air/ vapor barrier. The original exterior wall was a triple wythe interlocking terra cotta block, something no one working on the project had every seen before. That type of block was rare and it required some pull tests from the fastener manufacturer. 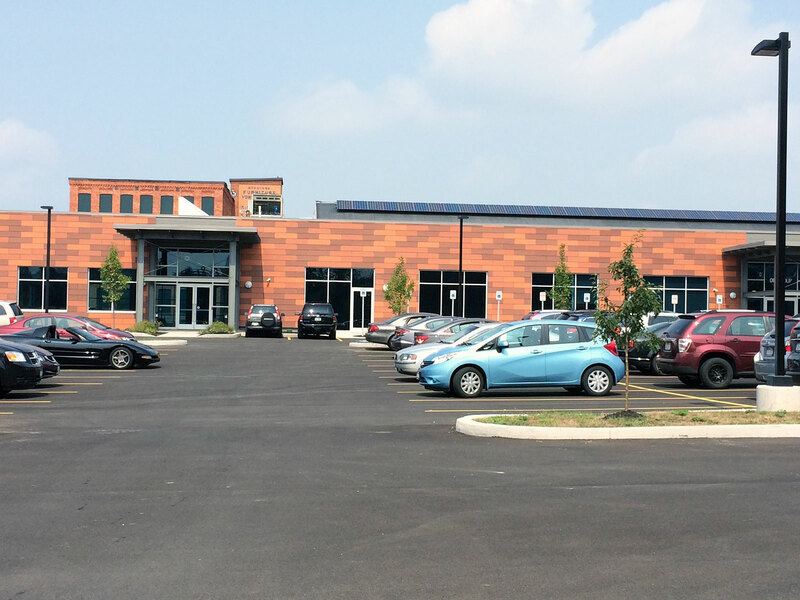 Terra cotta rain screen panels typically weigh 6.5 psf and require a high pullout value. It was determined that the block wouldn’t provide sufficient pullout value and the only viable option would be to secure the framing system for the terra cotta to the mortar joints of the block. A layout was determined and the insulation and framing system were hung in place. The insulation that was chosen was the R2+ Silver, a high R-Value closed cell rigid polyiso insulation designed for exterior applications. By taping the seams, R2+ Silver passed ASTM 2357 to be an air/ vapor barrier. The terra cotta system that was chosen was a lightweight tile from Terreal Terra cotta called the Zephir Evolution. The Zephir Evolution is a great choice for Terra cotta rain screen applications that require a light weight tile or smaller formatted tile.